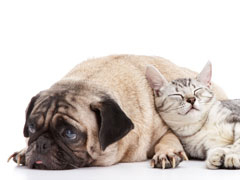 Most pet owners have concern about anesthesia safety. Cleaning teeth with anesthesia and not taking dental X rays is of extremely limited value. Is it worth the potential risks to do this? We do not believe it is. Your pets deserve better care than that. We always diagnose first, and treat optimally. Without dental x-rays there will be insufficient information to evaluate the teeth. Having clean, but potentially painful teeth, is a shame. We also do not agree with cleaning teeth without anesthesia because the value of this service is also very limited. Read more on anesthesia free dentistry and the specific reasons that is also a bad idea. Photo of one dental X ray machine used in our practice.